We were housebound last week. Both boys came down with bronchitis and strep throat at the same time. And because they couldn’t go to school or leave the house for that matter, I expected a few days of calm snuggling and movie time. After all, kids are supposed to be mellow and subdued when they’re sick, right? And then of course, I got sick (no surprise there). So picture this: 3 restless people trapped inside during the busiest time of year. And to make matters worse, I could’t stop thinking about my eternal to-do list: Christmas shopping! Outfits! Cards! It was either fold a mountain of laundry or bake something to get into the festive spirit! 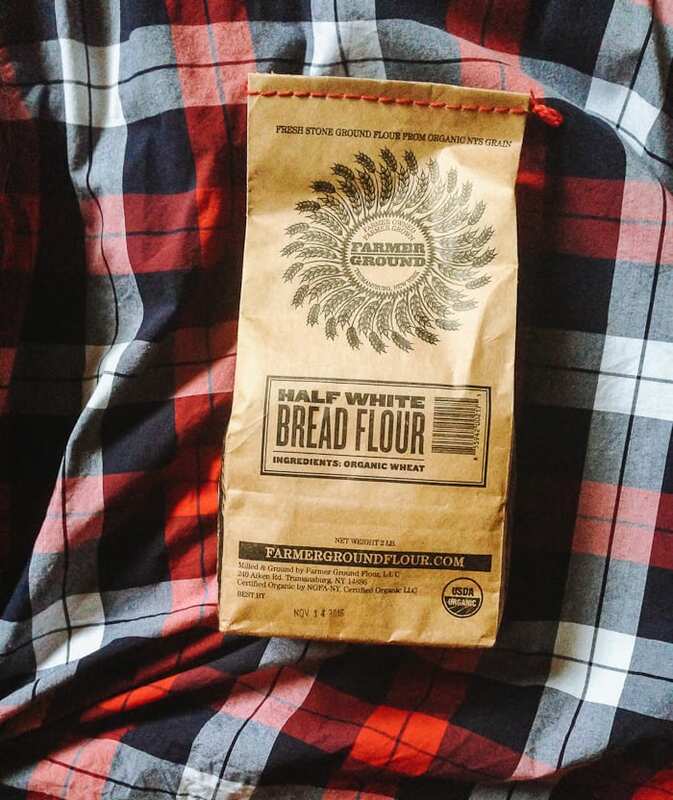 Fresh, high-quality flour is essential for baking bread (and my husband’s plaid shirt for this background!). It makes a huge difference in taste, texture and aroma. So, I’ve been experimenting with a few different local brands. This particular flour is made with organic stone ground grains from New York. It’s half bread flour/ half whole wheat. I baked a loaf following my usual recipe, adding more water to compensate for the hearty whole wheat. Although my dough was over-proofed and slightly deflated before going into the oven, I was pleased with the outcome. The crumb was spongy and elastic. It smelled like warm roasted chestnuts. And I was surprised at how light the loaf felt in my hands. Normally, whole grain loaves tend to be a bit dense. Gretchen posted a recipe for chocolate gingerbread cake on her blog. Feeling inspired, I dug out the old bundt pan. My version is slightly different based on what I had in the house. Which by the way, I’ve come to the conclusion that 2% Greek yogurt + a splash of olive oil makes a great sub for sour cream. This cake is decadent, moist, lightly spiced and studded with ooey-gooey chocolate chips. 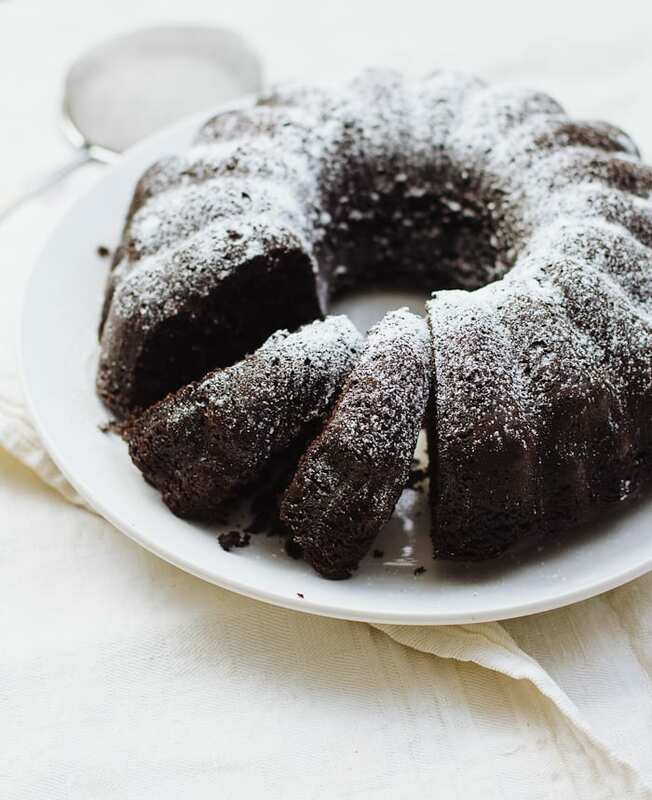 It would make a great chocolate bundt even without the gingerbread spices. In a large bowl, whisk the wet ingredients together. Sift the dry ingredients directly over the wet ingredient bowl. Mix gently to combine. Fold in chocolate chips. 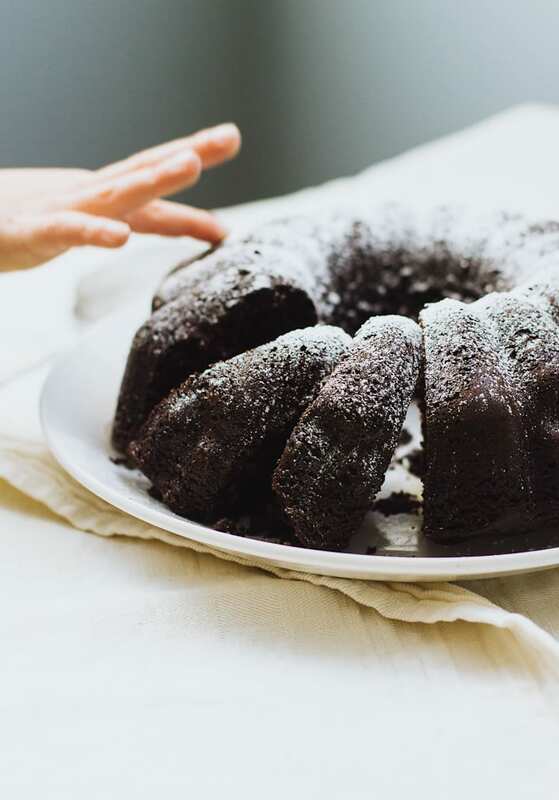 Pour into greased 10 cup capacity bundt pan. Bake @350 F for 45-55 minutes (my cake was ready in 40 minutes because I used a glass bundt pan- it cooks faster). To finish, dust with powdered sugar when cool. I have absolutely zero patience for constructing these things! Who came up with this idea anyway? 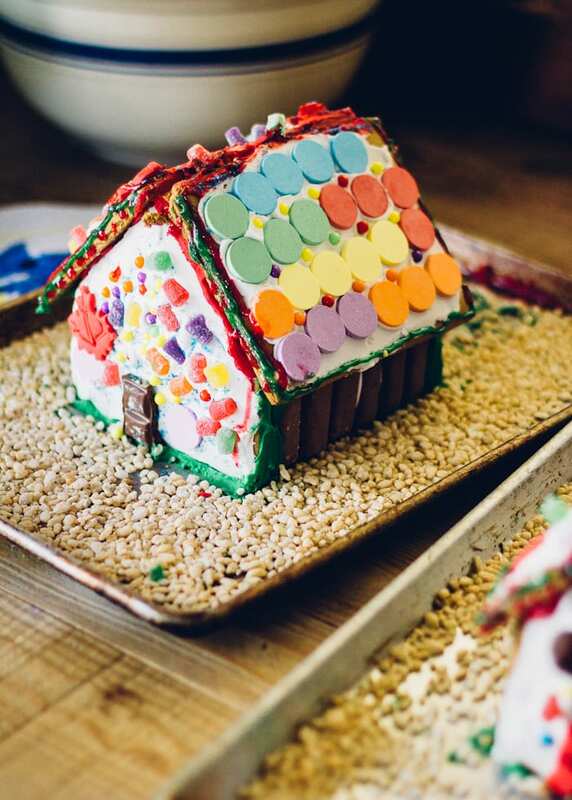 Assembling a house out of cookies and icing is like building a tower out of playing cards! Not to mention the pressure of salivating children scrutinizing your every move. So, I made my husband do it. The kids have managed to destroy most of our ornaments over the years, the latest casualty being a sparkly green bauble (thanks Jake). I wanted to capture the beauty of this butterfly because I know our relationship will be brief. I give it 1 year tops before the wings are ripped off. Mmm this cake sounds lovely, I gotta get my bundt pan out myself! It’s been sitting in the cupboard too long. The only issue is that I always end up eating the whole cake… definitely saving this for later. Happy Holidays! Heeheeh, had to smile about your boys’ response to illness… as one of my teachers used to say, boys are built for movement, if they aren’t flying like the wind, there’s something wrong ;-) your cake is gorgeous and I love that your husband constructed the gingerbread house ❤️. Merry Christmas to you and your beautiful family Emilie ~ all the best. (that butterfly…) x. Sorry you were cooped up with the boys but it sounds like you made the best of it. And I agree, gingerbread houses take a lot of patience. Not always fun. A very Merry Christmas to you and your family Emilie! Oh Oh…poor little bunnies were sick…Glad they enjoyed the time though, sounds a lot my little one..no rest at all. I agree, there’s always something to do and something has to give. 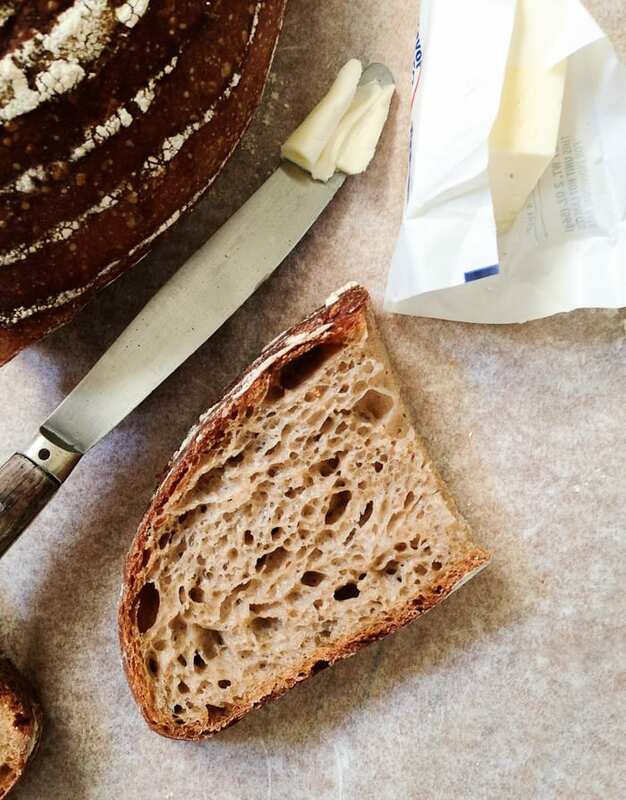 I need to get my hands on that flour, sounds amazing and that bread looks perfect. That cake though sounds so good Emilie. Pinning it. Btw..hoping those wings remain intact for a long time. Merriest Christmas to all my dear. Well I hate hearing that you guys were all sick. I hope everyone is great now and ready for the big day. Don’t you just LOVE all the really superb flours that are around now? I am just amazed at these small-ish mills. They make products that are so far removed from what is on the supermarket shelves. It is like an entirely new product. It looks like you have made very good use of the flour. 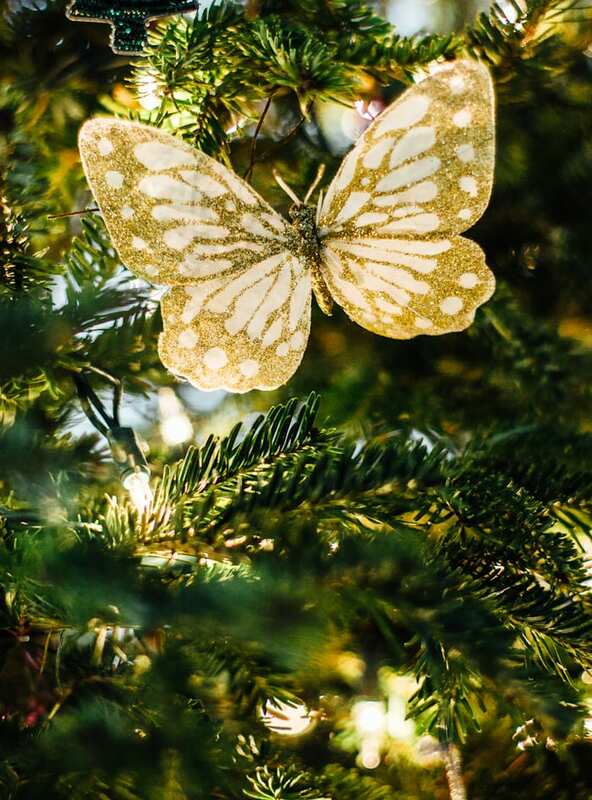 Here’s wishing you and yours the very merriest of Christmases and a terrific new year. Buon Natale! Don’t even get me started on supermarket flour. You’re right in that artisan flour is an entirely new product… it’s the real deal! And I’m happy to support their efforts, even if it means shelling out an extra buck or two. If I had the choice between a designer handbag or fresh milled flour or truffles or homemade pesto, guess what I would choose?! So sorry to hear you all were sick! I had strep once many years and it was awful made worse by the doctor here (in Holland) telling me that unless I couldn’t open my jaw, no medication was going to be prescribed!!! Hopefully you and your boys are better now Emilie. I am forever jealous of your bread baking abilities. :) and as always it looks perfect. I don’t think I could have the patience to make bread and so you can guess never enough to make a ginger bread house! So glad you liked it! I also use the 2% Greek yogurt often when baking and yes to the Hershey’s special dark cocoa powder! So sorry you had sick boys right before the holidays. Mine we healthy and full of energy while I was recovering from a nasty infection and had no energy. Luckily it was just us for the holidays and no stress, whatever got done was great and if not we can do it later. We may well be making mini gingerbread houses on New Year’s Day!